what can one say...care for this actor. IF HE IS IN OUR MEMORY SURELY HE IS IN GOD MEMORY.....SOON ALL DEATH WILL BE NO MORE..
you're a FKing idiot, SKY. Nobody cares about your idiot musings here. THIS IS WHAT HAPPEN WHEN YOU DISOBEY THE LAW. SOME OTHER PEOPLE COULD HAVE BEEN HURT. DRIVING IT IS DANGEROUS FOR YOU AND OTHERS. The foodies have gotten fat and complacent. Someone needed to perk them up. The foodies have their own troll buster; some chick who goes by Kat Kinsman or Kl!t Klansman...she got most of our comments scrubbed off the Klatsch. That beyotch and AleeD(bag) are not welcome here, by god. Damn foodies. She gets all bent out of shape when you remind her what she is. Kat Kinsman is the Eatocracy managing editor. I swear I've seen post from her over here; her name in blue font. If she does post on the Marquee Blog again, be sure to sh-t all over her. Lol. We have been challenged on eatocracy blog on the coffee klatch thread. We should all visit. Stay away with your stoopid trolling. And leave AleeD alone! Stay here in your cages where you belong. I'm going over and trolling those FKers. I told you to stay away. Are you stoopid, you are no match for AleeD. Why yes she is. She can out wit you anytime. We defend each other in the lounge, too. Unlike you ppl, trolls. Tell AleeD to bring it. She's no match for me. Challenge accepted, food nerd. ur little smiling face symbol gave u away.I had a feeling that was u coming on here anyway. Why not use ur real name if ur so big and bad? You have a good theory there. From the sounds of it, there's not too much left of the car to investigate, tho. I wonder how fast they were going? That's a good theory and definitely possible, but on the other hand, a guy who can afford a $400k vehicle and obviously drove it hard probably went through several sets of tires over the years. Doubtful the tires were all that old. Hey Peace! How you doing? Tire failure is certainly a possibility. And there really isn't much left of that car. It's pretty much scrap metal at this point. I saw a pic of that car today, horrible. I've been busy dealing with things in real life. I'm with you on being overwhelmed by the holidays. We just had thanksgiving and I'm already pooped and ready for them to be over. Reblogged this on OSCaR LaND. WHy Are YoU sUcH a tOoL? Who cares if you reblogged it? It's not like anyone is going to follow you over to your stupid blog. Seems like he took that "it's better to burn out than fade away" saying a little too literally. Live fast, die young, leave a charred- looking corpse. What was lame about it? The guy died as well. He wasn't famous, but he should still be put in our thoughts. The dude had a name. He was his friend and former race car driver, Roger Rodas. He drag raced them into a tree. The car was demolished. I didn't know the man's name or I would have said so (not saying in a nasty way:) ). Anyway, maybe it could have been something that went wrong with the car, and it can' t be all his fault. Yes, he was speeding, so they say, but what if something went wrong with the car and he lost control because of it. New cars aren't all they cracked up to be. They have problems too. Yeah, I know, I don't have all the facts, and I don't know anything about cars, etc..but it's just a thought. One can't always blame the driver. I wasn't trying to sound like an azz to you either. The facts in the accident have changed from a tree to a light pole. 2 different sources. This is what I have found to share with you Vixen. 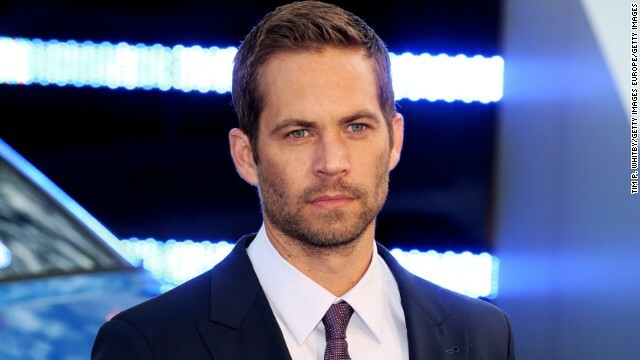 The probe now centers on the speed of the 2005 Porsche Carrera GT, driven by Walker's racing team partner, the spokesman told CNN. Earlier, Los Angeles County Sheriff's Sgt. Richard Cohen told CNN that authorities received a tip Sunday suggesting that another car was at the scene racing the Porsche when it slammed into a light pole and burst into flames. But investigators have since ruled out the presence of a second vehicle and the theory that the Porsche was drag racing, a spokesman said Monday afternoon. Speed was a factor in the crash, the Los Angeles County Sheriff's Office said. A 45 mph speed limit sign was attached to the light pole knocked down by the Porsche. The car, which sold for $450,000 when new, is a notoriously difficult vehicle to handle, even for professional drivers, according to Autoweek magazine. A top driver called it "scary," the magazine reported Sunday. It is powered by a V-10, 610-hp engine. Jim Torp, a car enthusiast who was at the charity event that Walker attended before the wreck, said Walker was smiling as he got into the Porsche minutes earlier. Torp thought he heard a blast in the distance before the car slammed into a light pole, he said. "What the first explosion was, I don't know if their tire blew up, because it sounded like a tire blew on the car," Torp told CNN. just a sad thing. Goes to show, one never knows when your number is up. One minute you're out having fun, next you're face to face with death, and in less than a second. .. lights out. Thxs for sharing. Good night.